You were born for a purpose. God uniquely designed you with the exact characteristics and personality traits that your calling needs. That doesn’t mean, though, that reaching your calling has been easy. Your spiritual story includes going through difficult times that tested your faith, pushing you out of your comfort zone, and allowing you to experience the full measure of God’s goodness and love. Telling your spiritual story can be one of the most important things you do, for several reasons. The spiritual story you’ve lived is one that only you can tell — but that’s not easy, either. Have you ever been in the situation where you wanted to tell someone about something God had done in your life — but couldn’t? Did you have a life-changing encounter with Jesus that you want to share with the world — but don’t know how? Have you ever felt called to share a testimony in a group event — but didn’t even know where to begin? The word testimony can be scary. It has a formal connotation that causes many people to ignore the prompting to share their experiences, even when their words have the power to bring life, hope, and joy. Writing your spiritual story, though, takes away the fear of public speaking while still allowing you to talk about God. The first step of any good story is to discover why the story should be told. If there’s no point to the story or no clear objective, readers will have no motivation to read or hear the story. Everyone has their own reason for sharing what God has done in their lives. Some do so to reach people for Christ. Others do so to keep themselves from getting discouraged in rough times. Maybe you want to use yours to show a lesson God taught you so you can encourage others and help them to stay strong in their own faith. Finding out why you want to share your spiritual story will help you discover the meaningful interactions and experiences that God in your life that will make up your testimony. Don’t worry, this isn’t a print-ready, polished piece. Start with putting your mess and test on paper. Freewriting is a good way to get going. This writing technique involves putting your pen to paper and letting the words fill the page without regard to grammar, spelling, or structure. Think of this as a time of worship, where you thank God for what He’s done in your life. This doesn’t require any writing skill at all. This is your spirit calling out to God’s Spirit, giving Him the good and the bad. It will be messy, it will be cluttered, and it will be honest. Not sure where to start? Pastor Rick Warren has a series of four questions he uses when encouraging someone to write their testimony. Use these as writing prompts to get you started. You can also share conversations, Scripture, and other ways God pulled you to Him. By the way, your story could be as short as one page, or as long as a book. It could be your entire spiritual history, or just one moment in time. You get to choose what to write about and how long it is. During this freewriting stage, you’ll want to dump everything you can on the page. You’ll whittle down and perfect in the next step. When you’re done, you’ll have a raw account of your spiritual journey. Now that your spiritual story is on paper, you can take the next step: cleaning up your piece. 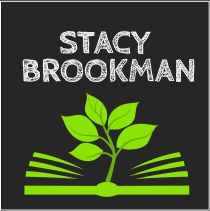 Start to look at your writing and search for common themes. Is there a recurring lesson God has taught you? Is there a correlation between the verses He’s given you? Is your testimony a summary of your entire spiritual life, a snapshot of one encounter with Christ, or a combination? Organize your story. Look for a natural story arc – it will often follow the questions Pastor Warren shared above. Include the lessons He has taught you. Pull in details that add to the story, but read and re-read to take out the details that take away from your story. If your story is long, this is where you’ll add in chapters, structure, and form. Or, if you’ve discovered a theme, perhaps take the parts of your story reflecting that theme and create a shorter version. It could simply be one moment in time. This entire step is designed to help you highlight your “why” by getting to the point. Spiritual stories bring with them a special, unique ability to have multiple points and reach different audiences. Perhaps God pulled you out of addiction. You can share your story of healing and recovery, and you can also share your story as a form of encouragement for individuals worn down by their own battles. I know, it’s much easier said than done. By this point, though, you’ll have a well-organized spiritual story. Find a few trusted friends or family members who are willing to read or listen to your story and give you honest feedback. Outside opinions will help you see where you might have strayed off-focus or could add details to enhance the overall power of your story. If you plan to share your story in front of a group, don’t forget to practice. When you feel called to share your story in a conversation, use the opportunity — you’ll be giving God glory while you get time to practice and gain more confidence in your testimony. You don’t have to start publicly speaking to share your spiritual story, though. Consider asking if you can submit your story to your church bulletin and seek out faith-based publications that accept submissions. You can send your story in as-written, or can revise your piece to fit a specific niche. For example, Our Daily Bread Ministries accepts outside submissions from readers with a burden to share their stories. 1. Spend some time in prayer. We’ve been called to share the Good News of what God has done. Your spiritual story is centered on the presence and power of God in your life, so why not talk to Him about your testimony first? Keep a prayer journal with you. List everything you want to pray about and everyone you want to pray for. Listen for God’s response — and record what He tells you. Ask Him to show you how your testimony will give Him glory while helping you fulfill your calling through your story. 2. 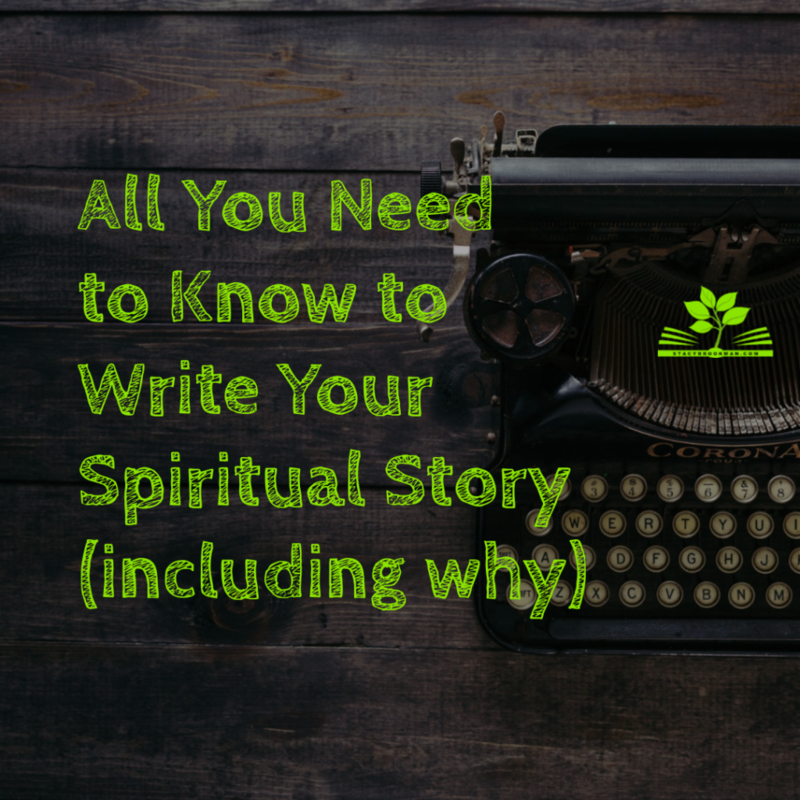 Work through the four steps to writing your spiritual story. You won’t be able to get this finished in an hour. These are deliberate, thoughtful, organized steps that will help you make sense of the mess — and the message. 3. Ask God to open doors for you to share your story. Sharing your testimony is something each Christian is called to do. We are called to tell of what God has done by sharing the Good News. Our testimonies are powerful – when combined with the blood of the Lamb, we become overcomers (Rev. 12:11). Jesus’ act on the cross and in our lives didn’t just allow us to overcome the lasting effects of sin, but also to overcome these challenges in our daily lives. When you share your story, God will use your words to touch hearts and change lives. Pray that He puts His words for your testimony in your mouth. Don’t be scared to add Scripture. God promises in Isaiah 55:11 that His word never returns void — it will accomplish His will. Her story is just one of many where an individual’s retelling of the encounter with Christ led to changed lives. Take the time to start writing your spiritual story — you never know how God will use your life to change the lives and eternities of others.